The owners and the Design Team of Lombok Eco Homes, Bambook Studio, are truly advocates for Sustainable design and Sustainable living. We believe we cannot ignore the architectural impact to the planet and therefore we feel responsible for delivering construction solutions that will not only achieve the highest quality in design but at the same time will contribute for a low carbon future. 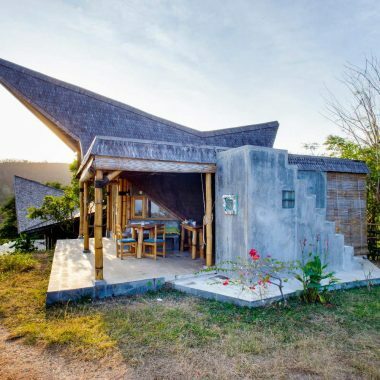 Lombok Eco Homes have followed since the beginning of its design phase a series of sustainable studies that have result into the incorporation of many sustainable strategies that will assure that the building will perform in harmony with its climate and will reduce its environmental footprint. 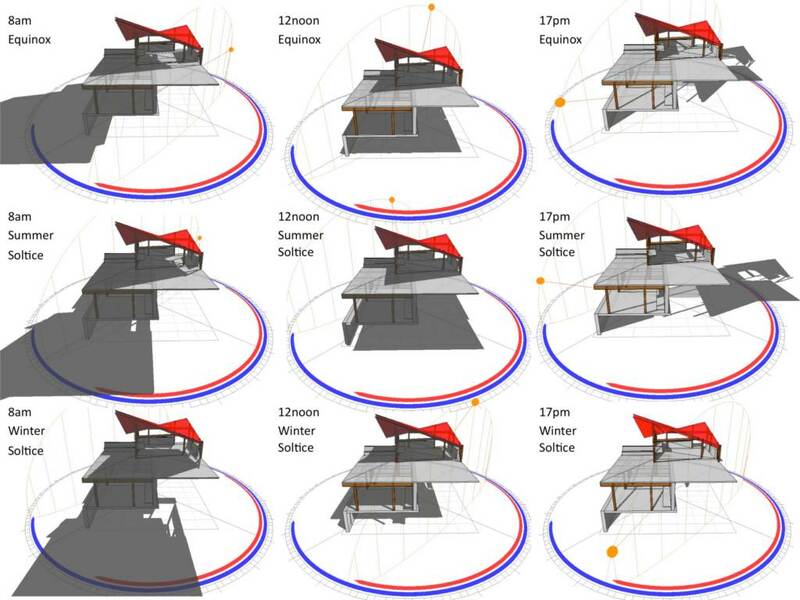 As a result of the Analysis of the Solar Paths and the Incident Solar Radiation Studies we have designed a façade that minimizes cooling loads in the building while maximizing air flow. 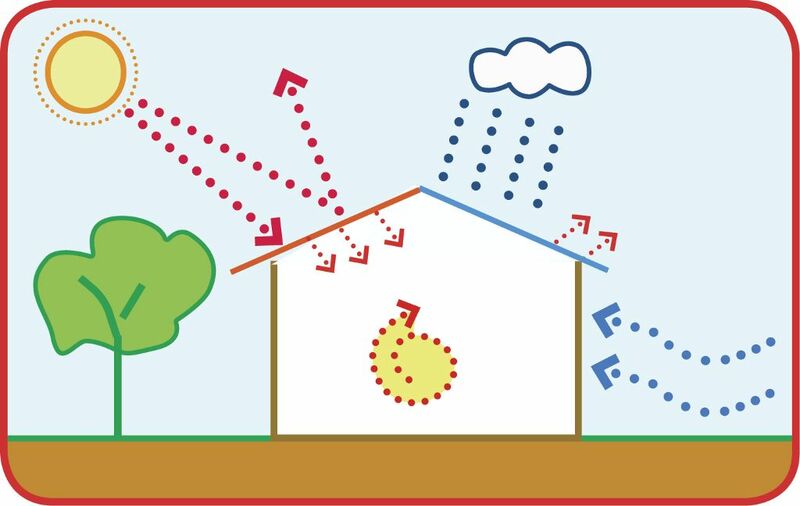 The air movement is essential in a tropical climate to assure thermal comfort and avoid humidity. 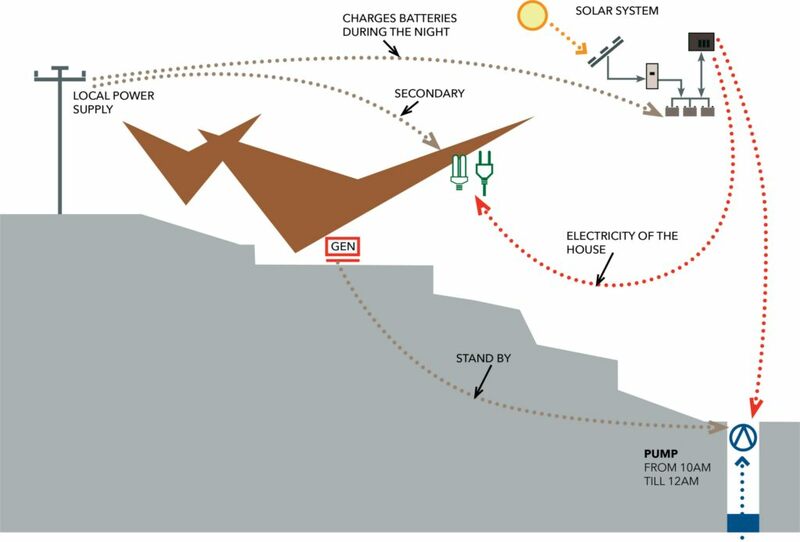 Lombok Eco Homes have been designed to assure air movement in every space of the house. 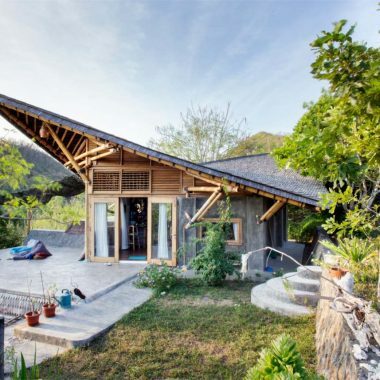 In the Bamboo Villa and Bamboo Bungalow, the shape of the roof invites the wind to come inside the house and create a current inside that not only helps to cool down the temperature, but also pushes bugs away and gets rid of the humidity. In the Apartment the roof has been insulated so that the heat from the sun doesn’t come through the roof. All the windows in the buildings have incorporated into them different types of shading devices to reduce incident solar radiation on the glazing elements and therefore reduce the heat impact. Depending on the orientation, the shading devices have been designed to allow user control in order to maximize cross ventilation and assure personal thermal comfort. 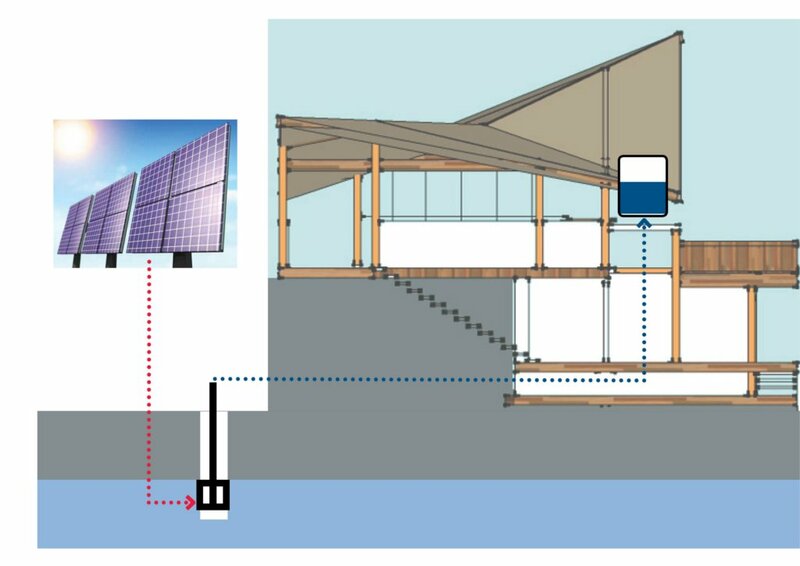 We have solar panels that run the pumps and the rest of the house’s energy loads. Fresh water is a world-wide limited resource and every building and building occupant should reduce its demand as much as possible. In South Lombok in particular water is a real issue as the dry season has become longer and longer for the past decade. Therefore we have put a huge emphasis in both water demand reduction and water re-use to assure there is not a single litre of water wasted. All the water in the house comes from a well down the slope. This is fresh water that gets collected by the hills during rainy season and gets pumped once a day to our elevated tank that directs it to the house via gravity. Because we only pump once a day, we not only reduce energy usage from the pump but also we control that there is no excessive water consumption allowing only a certain amount of water use per day. UK – 150 litres per day; Spain – 80 litres per day; USA – 300 litres per day; Japan – 400 litres per day!! Our water is fresh and it is safe to cook with, wash the veggies and do the dishes! All of our fixtures in the building are the best on the market for water efficiency. On top of that, we treat all of our grey and black water with a “Bio-septic tank” that unlike any other septic tank filters and processes the black water waste into clear and odourless water to assure no contamination into the ground. For us the hydrology of the place is very important therefore we believe the water must go down to the land again. 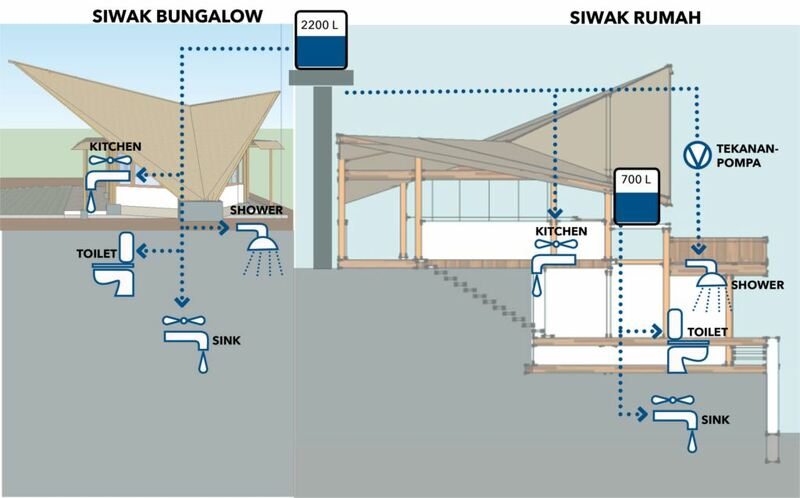 Lombok Eco Homes is a great place to do an exercise of accounting for how much water you use on a daily basis!!! The build environment accounts for one of the largest energy and electricity consumers in the world next to the transport and industry sectors. CO2 emissions therefore are directly associated with building performance and account for a huge annually rate that must be reduced. Lombok Eco Homes optimizes its design with passive climate adaptation strategies to assure the lowest energy demand as possible but beyond that, the Lombok Eco Homes design team has studied carefully all the end uses to assure the lowest energy consumption. All of our appliances are low consumption, all of our lights are LED low consumption lighting, our water pump has a timer; we don’t have any energy load that is elevated. 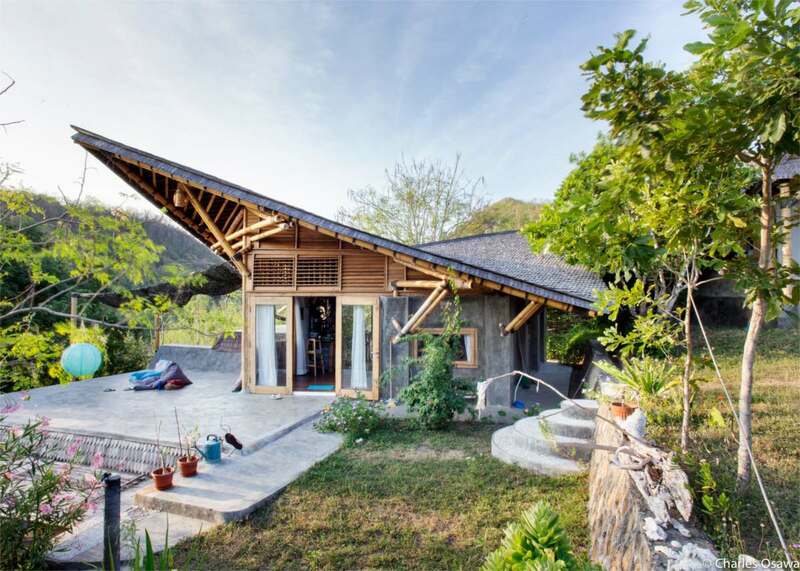 In the Bambook Villa and Bamboo Bungalow all the power comes from Solar Panels. We pump our water through solar and we run the whole house through solar. The system is very small as there is no need for any bigger, so we keep both our energy consumption and energy demand very low. In Lombok Eco Homes we have looked very carefully at all the building materials and finishes that we have chosen. 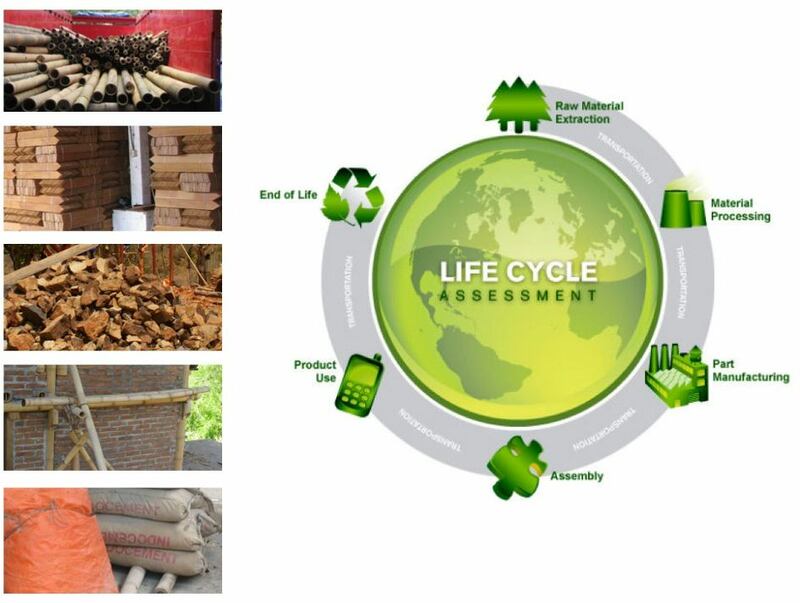 Not only we have given priority to all regionally sourced materials to reduce the carbon footprint associated to its transport to site and contribute to the local economy (achieving 95% of Indonesian products in building materials with a distance from source of less than 500 km) but also we have taken a deep look at its life cycle and its embedded carbon associated to its manufacturing process. 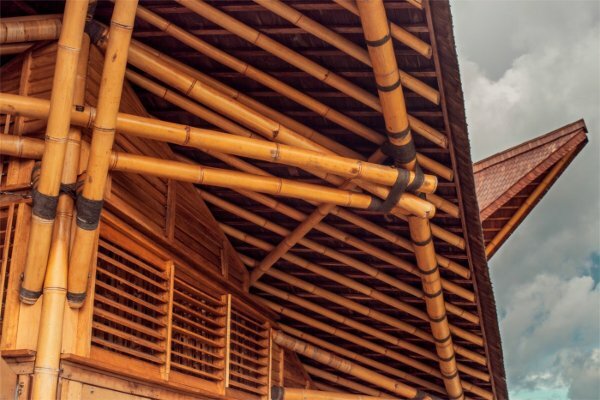 This is why we have chosen bamboo and reclaimed wood for all the structural elements. 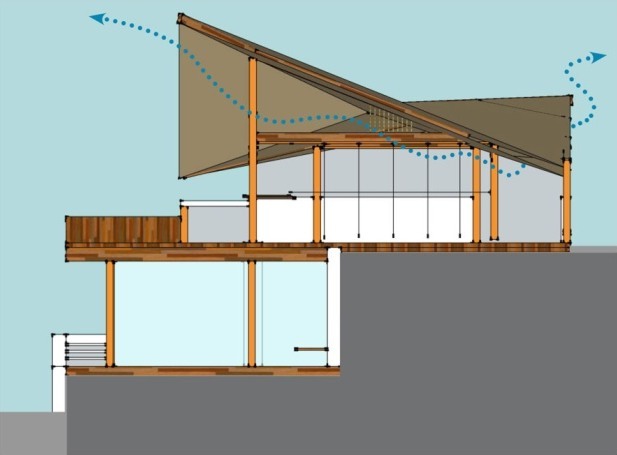 The embodied energy of all the materials is the lowest possible. Not only from the bamboo (one of the most rapidly renewable materials there is) but also our bricks are sun dried and our floorings are local stones without heavy manufacturing processes. For the interior design furniture, all floor decking and for the façade and cladding elements we have selected wood coming from a Certified Forest that follows sustainable timber harvesting methods preserving wild life habitat, maintaining soil and water quality and assuring that forests of high conservation value would remain intact. As part of the whole Sustainability Concept the waste management becomes an every day exercise. In Lombok unfortunately there is no garbage collection system in place and recycling exists but privately and only a few things get recycled. Those items that do get recycled are some glass bottles, hard plastic, cans and metal, paper and the drinking water tanks. In all our houses we encourage the separation of organic waste from the rest as we have built an organic waste bin that breaks down the waste and produces natural fertilizer for our gardens. For the rest of the waste, we have different bins that are used to through the different garbage materials that later once a week get collected by a private recycling company. 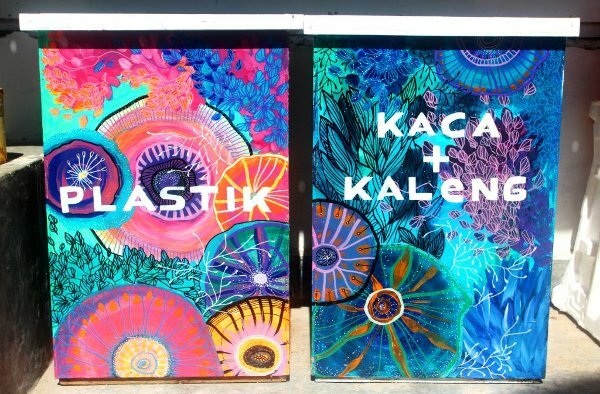 On top of that, the Shake & Bake Bakery, our partner, has a public recycling waste point that also offers tourist that come to Gerupuk the chance of recycling their own waste.